Considered a front lib but can seem to get into them. Then I saw this on FB. Wow would love to have this, too bad this guy is like 100% other side of planet. I wonder is there a body shop around pittsburgh that can do something custom to my front clam before the car is painted. Last edited by FistHammer; 02-16-2017 at 02:24 AM. CK Lim actually sells and ships those around the world. By the time you have a shop attempt to do that extent of modifications to yours you could have that one delivered, painted, and installed. One of the Evora centric shop owners here on LT (can't recall the name off hand) actually works with CK Lim on parts for those and might be able to assist as well. Cool I actually did become friends with him on FB, I had no idea something this large could be shipped globally but 100% I would rather it be straight from him. I will be sure to update this post once I get my order together hope its not outrageous. I agree that the front end is just too busy. If it were not so expensive I'd love to have my turn signals shaved and re-positioned into the headlight housing. My screen image is old so it doesn't show the "new" grey-out film I placed over my turn signals. IMO this does make them blend and recede a bit into the face of the car. They no longer appear orange and white. This is my poor man's solution. This would be the best front splitter option I have seen that you can bolt on. I would def do it with matching body color though. In fact if the front clam is not possible I may work with this too! Lckitty and Deet3450 like this. 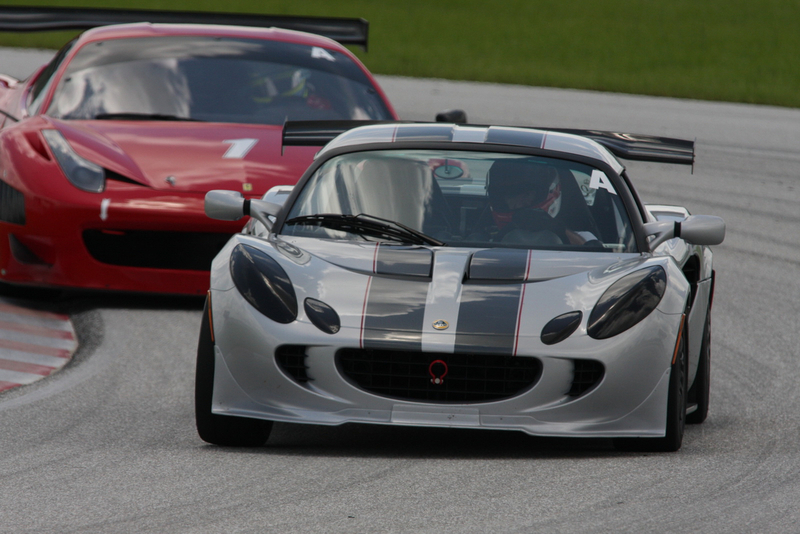 Sherman at Lotus Evora Parts & Accessories | HethelSport is the US distributor for Win Ace (CK Lim's) products. He is great to deal with! I was in on the first Evora GTE front bumper/ vented side panel group buy and I have a GTE rear bumper in transit this week from him. There are no worries when purchasing from Sherman! Going to try and get my order in by beginning of march,if anyone want some of his work as well we may be able to save some money if we group order some stuff, its all from Malaysia . Last edited by FistHammer; 02-15-2017 at 03:29 AM. @FistHammer https://www.lotustalk.com/forums/f92/...9/index13.html You can contact @Almighty for more info. Aedo, good2go, Lckitty and 1 others like this. I dunno, these cars already suffer quite enough from the 'It's cute/Hot Wheels/Is it a kit car?' syndrome. Tasteful customizations, like getting rid of the turn signals in the front, filling in the faux fins next to the tail lights on the Elise, and understated front splitters work nicely. It's REAL easy to go over the top, approaching ricer/Fast & Furious cartoon caricature status. Cannards, picnic table size wings, multi-element diffusers sticking a foot out of the back of the car...more often than not on cars that are functionally used in ways that don't require ANY added downforce components only make these small cars more cartoonish. That said, I'm from the "It's your money, it's your car...do what you want" school. My last Europa, restored to the nth degree, was painted in a color other than original, so in some schools I'm a blasphemer. I get it. For my own part, I'm just underwhelmed by cars that look like a JC Whitney catalog exploded on them. The NCI splitter is awesome, but pretty pricey. It also is full length unlike the cupR lip above that just bolts underneath the clam. Even the 3k for the CK clam is at the top of my budget when you throw in shipping and the side skirts I like. So at this point I am going with a CK clam to fit my 2006 elise, and he's defiantly going to do the custom front and shaved turn signals. In the drop-down menu you can select just the front splitter. + $257 to ship to Mass. Or almost $200 over what I paid for my used, fiberglass splitter. Given how much efficient downforce can be made with our smooth underbodies and an aggressive diffuser, going crazy with the splitter can actually hurt overall downforce. It shifts it forward though, so it feels like more front downforce, especially under braking when the nose dives down. There are a couple splitters designed to keep underbody airflow in tact though; anything else is decoration/protection.